Dr. Harold Goldmeier began his career teaching middle school in Chicago, and was later a Research and Teaching Fellow at Harvard where he earned his Doctorate in Education. Harold also served as Asst. Prof. at Tufts U. Medical School. He was a founding member, youth activist, and advisor of the Midwest Region of NCSY. He has worked in the administrations for three Governors and the U. S. Surgeon General on education, civil rights, and children and youth issues, and for seven years as voluntary Co-Chair of Mayor Daley’s Youth Council of the Chicago Workforce Board. He recently sold his own business employing more than 70 prior to making aliyah with his wife in February 2012. He is now a writer, teacher, and business management consultant to start-up and expanding companies. 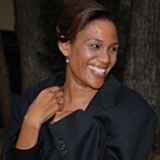 Dr. Adimika Smith is a licensed clinical social worker and PhD recipient from Arizona State University where she also completed her MA. She previously studied psychology and business administration at the University of Denver. Prior to making aliya to Israel in September 2010, Mika worked as a therapist and educator in Arizona where she specialized in working with trauma victims including military personnel returning from war, adolescents suffering from psychotic episodes, mothers with a history of childhood trauma, and other people with psychological needs. She also was Katrina Evacuee Volunteer. One of the joys of her career is teaching staff, students, and colleagues to think outside of the box, to stretch their imaginations, and to develop skills. Benji Davis is the founder of Impact Seminars, an educational organization specializing in the geopolitics of Israel and the Middle East. Benji and his team provide interactive lectures, tours, workshops and weekend retreats. Additionally, Benji teaches a course on Israel & the Conflict to gap year students through Jerusalem U. Benji made Aliyah to Israel from Los Angeles, CA in 2009 and lives in Jerusalem with his wife Rachel. 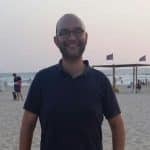 Joshua Halickman aka “The Sports Rabbi” is the Founder and Head of the Maccabi Tel Aviv Football Club Foundation and works together with the Football Club to improve the communities in and around Tel Aviv, Israel and across the globe. 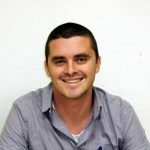 Josh also manages the Club’s English website while maintaining his own site, SportsRabbi.com the only English language website dedicated to covering Israeli sports bringing a taste of the Holy Land to sports lovers around the world. 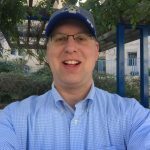 Prior to joining Maccabi Tel Aviv, Josh was the CEO and CFO of a prominent Tourism company with offices in New York and Jerusalem and has spent close to 20 years working in the Non-Profit industry primarily in the area of finance. Josh made Aliyah in 2004 and currently lives in Jerusalem with his wife and three boys. Matthew Lipman is an Israel Educator for Jerusalem U. He has been working in Israel education for more than 15 years. He has taught Judaic Studies at several Jewish Day Schools in North America. He has written high-tech educational materials for U.S. public schools, the IDF and an online Jewish day school. He has also worked in informal Jewish education for many years. In addition to his teaching work at several gap year programs in Israel, he trains Day School leaders in North America to create meaningful Israel education programs. Matthew has a B.A. in Politics and History from the University of Liverpool and holds a Master’s Degree in Jewish Education from the Hebrew University. He lives with his family in Modi’in. Rabbi Joshua Gerstein originally from Lancaster, Pennsylvania made aliyah in 2007. He received his semichah from Rabbi Shlomo Kassin of the Midrash Sephardi of Jerusalem, as well as from Rabbi Aharon Ziegler of Kollel Agudat Achim. Rabbi Gerstein holds a bachelor’s degree in psychology from Touro College and a master’s degree in Jewish education from the Hebrew University of Jerusalem. Since moving to Israel, he served as the assistant Rabbi of Beit Knesset Chazon Yechezkel- the Young Israel of the Old City and has taught Halacha and Jewish Thought in yeshivot and gap year programs for North American youth. In addition, he served as a non-commissioned officer in the I.D.F. Rabbinate, where he was responsible for religious services and Jewish identity programming. He now holds the rank of Lieutenant in the I.D.F. reserves where he serves as the Rabbi for the 498th “Dawn” Search and Rescue battalion of the Homefront Command. Rabbi Gerstein lives in Jerusalem with his wife and family. 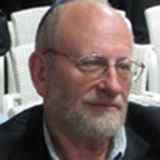 Menachem Weinberg is a senior Jewish educator with over 20 years of experience as a Rabbi and teacher, and is also involved in counseling, guiding converts and olim from every continent on the globe. Menachem holds a B.Sc in Computer Science and an M.A. in Judaic Studies, is a certified mediator and was ordained by the Chief Rabbinate of Israel. After serving for ten years as the community Rabbi of Alon, a joint secular and religious town near Jerusalem, Menachem still officiates at weddings as a member of Tzohar. Originally from Toronto, Menachem served in the IDF tank corps and made Aliya over 25 years ago, and now lives in Tekoa with his wife Gila and their four children. Moshe Levi began his career in Jewish education straight after completing his military service in the IDF. In the past Moshe worked with USY, both on summer programs and on gap year programs. He has extensive experience in Jewish and Israel education. For two years he served as a shaliach for the United Synagogue Youth in Minneapolis, Minnesota and he has worked with the Avi Chai Foundation and the Shalem Center on a variety of educational initiatives. After returning to Israel, Moshe served as The Jewish Agency’s coordinator of Youth Movement Shlichim. 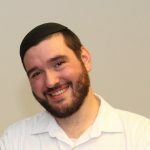 Most recently, Moshe served for four years as the community Shaliach for the Greater MetroWest Jewish Federation in New Jersey, where he was the senior Shaliach and Israel education specialist. In the past Moshe has also worked with different Jewish summer camps in North America. Moshe was born in Israel and he grew up in Jerusalem. He served for three years as a medic in an infantry unit in the IDF and he holds an MA in Comparative Religion from the Hebrew University. Moshe looks forward to bringing his History of Zionism course to the Aardvark participants.